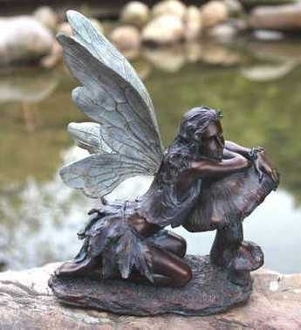 Bronze Fairy on Mushroom (16.5") Accent For Fairy Garden. A perfect statement piece for your miniature garden. Dimensions: 14.5L X 7.75W X 16.5H.